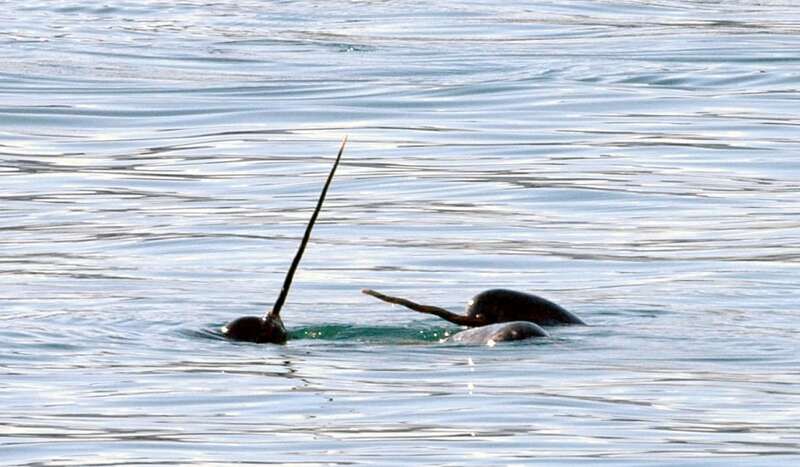 With an enormous spiralled tusk protruding from their head you’re not going to mistake a male narwhal if you see one, and you won’t be surprised to learn that they’re known as the unicorns of the sea. What doe a narwhal look like? The most obvious thing to say is that males have a massive tusk which can grow up to 10 feet long. Most females don’t have a tusk and they look a bit like mottled grey beluga whales. 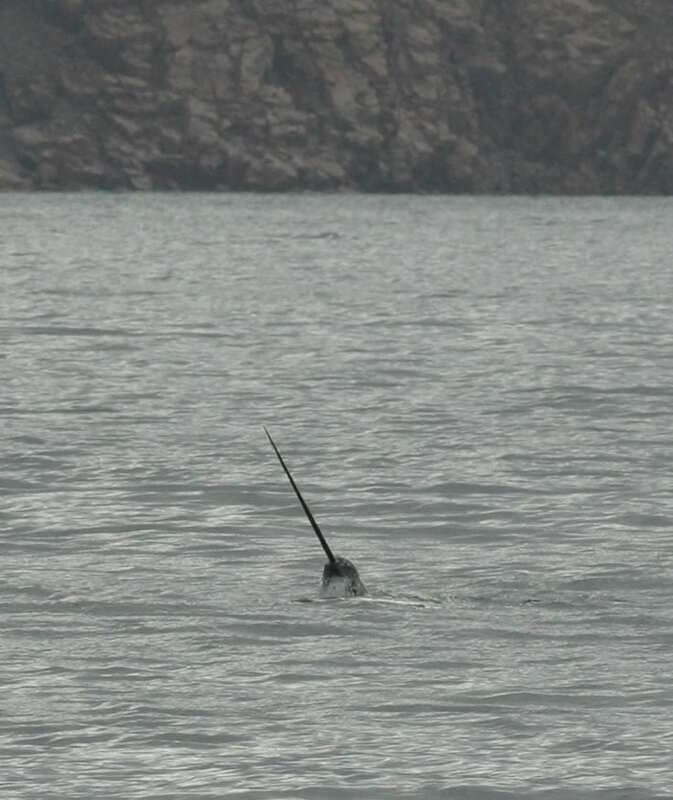 Narwhals have a blotchy sausage-shaped body, a rounded head with no beak, a ridge on their backs rather than a fin and short blunt flippers with upcurled edges. 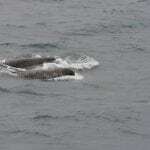 They have odd-shaped tail flukes that look as though they have been put on backwards. What’s life like for a narwhal? 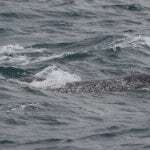 Narwhals live in groups of 10 to 20 individuals but in the summer they come together in groups of hundreds or even thousands of whales to migrate. 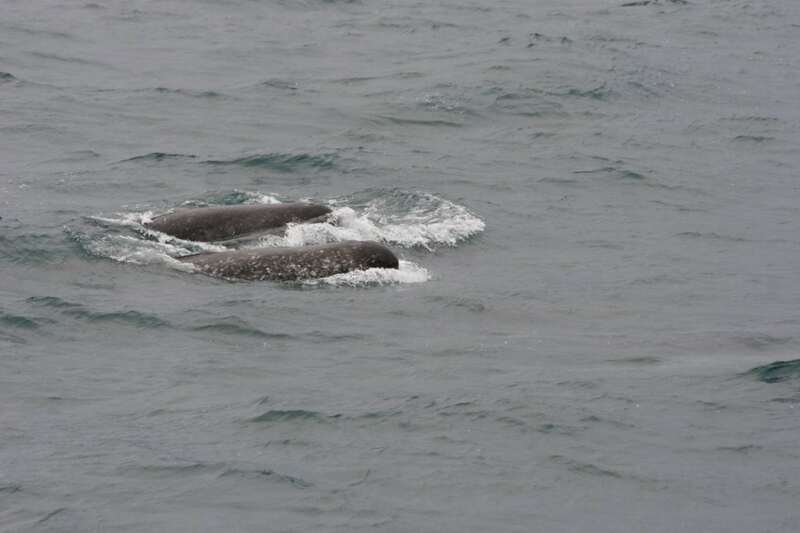 They travel together, swimming fast and close to the surface. Sometimes they float, motionless at the surface and occasionally they will all leap out of the water or dive at the same time. We don’t know why they behave in this way but it’s sure to make perfect sense to them. Narwhals are one of the deepest diving whales and can hold their breaths for an amazing 25 minutes. 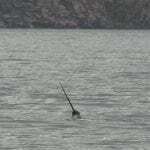 The longest recorded narwhal dive is 1,500 metres. Narwhals are fond of flatfish, cod, shrimp and squid and species like crab that they find on the seabed during their long dives. They use echolocation to help them find food and have an interesting way of eating –creating a sort of vacuum and sucking up their food. No one really knows if their tusk plays a role in hunting or feeding. 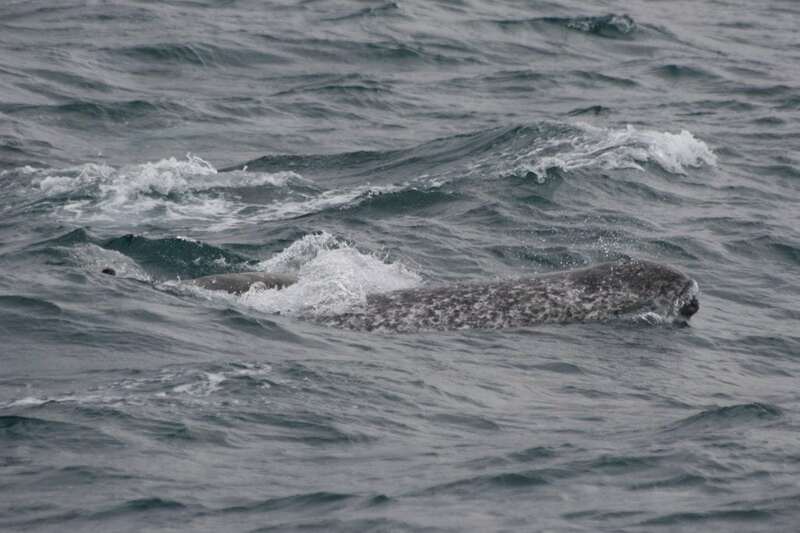 If you are a narwhal, home is the freezing pack ice of the Arctic. 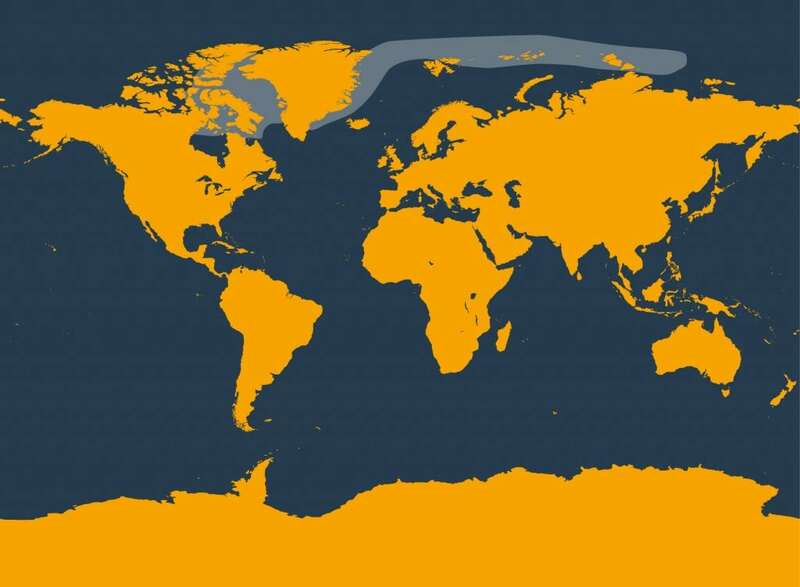 Narwhals live above the Arctic Circle right up to the polar ice cap. In the summer they migrate to coastal waters and fjords of Greenland and Canada moving offshore again in winter to avoid being trapped by ice. Their natural predators are polar bears, orcas and sharks and they have been hunted by Inuit for their skin, blubber and tusks for centuries. Because they are so adapted to life in the polar ice, they are probably the whale species most affected by climate change. What is the narwhal's tusk? The narwhal’s tusk is actually a tooth with millions of nerve endings inside it, meaning they can use it to ‘feel’ or taste. Narwhals have two teeth and in males, the left tooth usually forms a tusk. Some males end up with two tusks and about 3% of females grow a tusk. How did narwhals get their name? ‘Narwhal’ translates from ancient Norse as ‘corpse-like whale’. They were given this name because their grey mottled bodies resembled the corpses of drowned sailors. They are known by Inuits in Greenland as ‘qilalugaq qernartaq’ which means ‘the one that points to the sky’ and their Latin name is ‘Monodon monoceros’, meaning ‘one toothed’. What is the narwhal's tusk for? Quite honestly, we don’t know but theories abound. Some believe that males use them to attract females, showing off their ‘manliness’ through jousting matches, others have suggested that it’s used as an ice pick or even an acoustic probe. In 2014 researchers discovered that the tusk is a sensory organ – narwhals can use it to detect changes in the water around them. They can ‘taste’ concentrations of chemicals and perhaps use their tusks to find food or females who are ready to mate. In 2017, drone footage revealed narwhals stunning fish with their tusk before eating them. It seems the more we discover, the deeper the mystery becomes! These strange and mysterious beings face some serious threats from human activity. Whaling – Inuit people in Canada and Greenland kill narwhals for their blubber and tusks. Climate change – global warming is causing sea ice to melt leaving narwhals vulnerable to getting trapped and leading to more hunting and human activity in their Arctic home.